Shortly after 18:00 this evening the Irish Coast Guard launched a major rescue operation for an injured child near Balbriggan harbour. A 12 year old male had reportedly fallen from cliffs near the harbour area, known locally as “the Bower”. The casualty was treated at the base of the cliffs by Fire Brigade personnel. Given the difficult terrain, the Coast Guard deemed it necessary to evacuate the casualty by helicopter winch. The Skerries Coast Guard team together with Fire Brigade and ambulance personnel assisted with the highline winching. As a precaution, the Skerries lifeboat was requested to standby in the area. 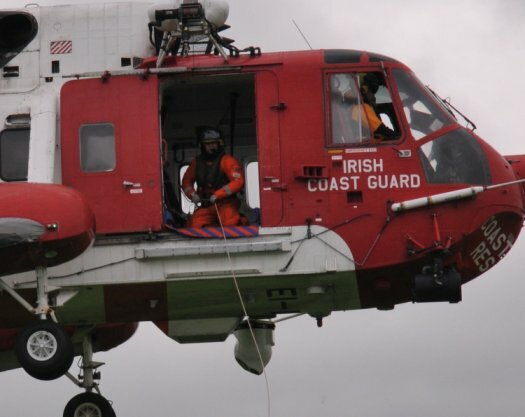 Once safely winched from the scene, the casualty was taken by the Coast Guard helicopter to Our Lady of Lourdes hospital in Drogheda. His injuries are not thought to be life threatening. 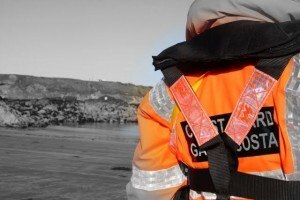 The Coast Guard would remind members of the public to take extreme care when on or near cliffs, especially in low light conditions. This entry was posted in Callouts by admin. Bookmark the permalink.